Chalcogenide glass is made up of many elements from the Chalcogenide group. The glass is transparent to infrared light and is useful as a semiconductor in many electronic devices. For example, chalcogenide glass fibers are a component of devices used to perform laser surgery. This book is a comprehensive survey of the current state of science and technology in the field of chalcogenide semiconductor glasses. 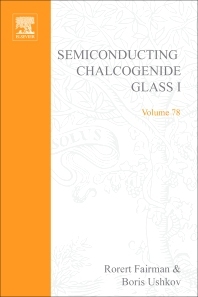 While the majority of the book deals with properties of chalcogenide glass, chapters also deal with industrial applications, synthesis and purification of chalcogenide glass, and glass structural modification. Provides evidence and discussion for problems discussed by authors from opposing positions.